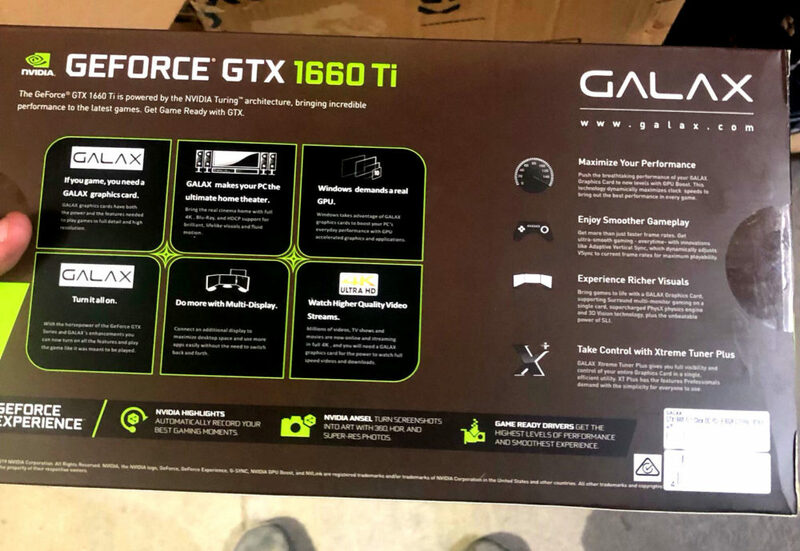 A leak from GALAX confirms the existence of GeForce GTX 1660 Ti. 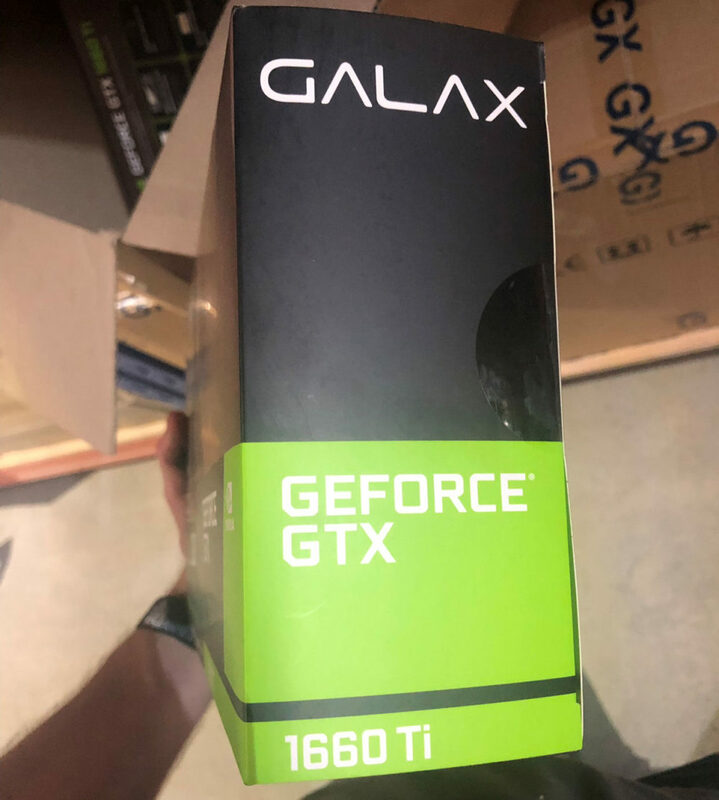 The packing confirms that the manufacturer is ready to launch its new GTX 1660 Ti graphics card soon. The photo is clearly taken in a warehouse, possibly at a distribution center. The card features 6GB GDDR6 memory and does not support ray tracing. 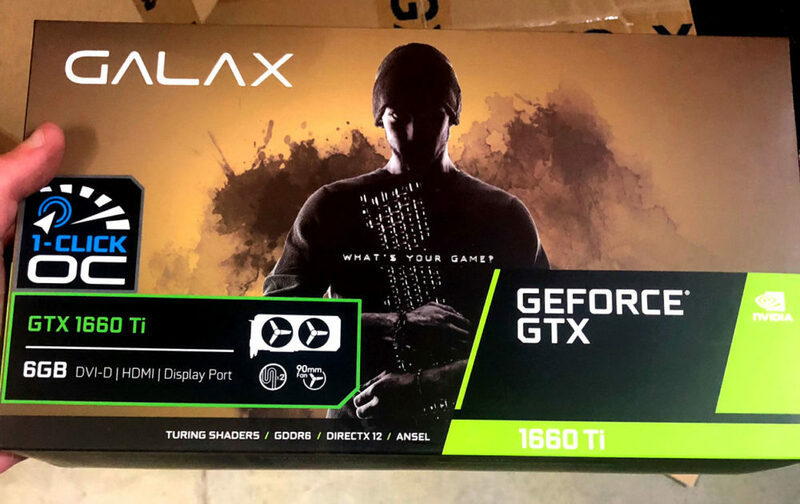 The word ray tracing has been replaced with ‘Turing shaders’ on the packaging, clearly confirming this fact. The card is a dual-fan solution equipped with DVI-D, HDMI and DisplayPort connectors. NVIDIA GeForce GTX 1660 Ti will feature TU116 graphics processor with 1536 CUDA cores. This is a mid-range solution replacing very popular GTX 1060 series.